The scene outside a technology repair company in Allen, Texas on Wednesday was bleak. 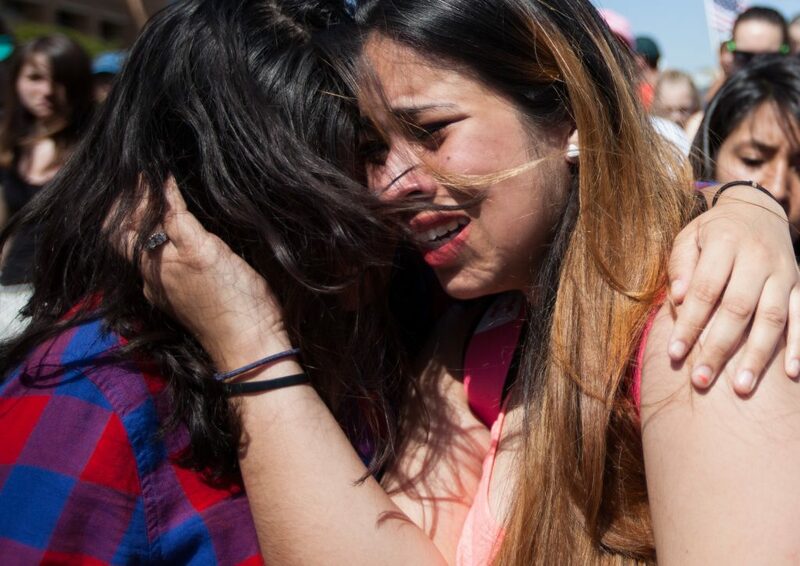 In the aftermath of an immigration raid, family members gathered to make phone calls, connect with attorneys, and give support to the workers arrested by U.S. Immigration and Customs Enforcement that afternoon. Immigration agents stormed the company Wednesday morning. According to people at the scene, agents divided up the hundreds of workers based on their legal status. Losing about 15 percent of their staff due to the raid could have a detrimental affect on the business and the town.